In addition to the planned path projects, careful budgeting allowed a further path project: repair of the Kenmore to Applecross route, and conservation of the historic features. Prior to the introduction of the North Applecross road, this was the main access route into Applecross House and Bay area from the north. The main church and churchyard were at Clachan and this route was used as a “coffin road” for transferring remains from the villages along the north coast for burial. There are interesting historic features along the route including stone waymarkers and wrought iron kissing gates. This additional project meant that maintenance could be undertaken on a large section of the Kenmore path, adding in drainage and ditching to ensure that the route was no longer waterlogged. 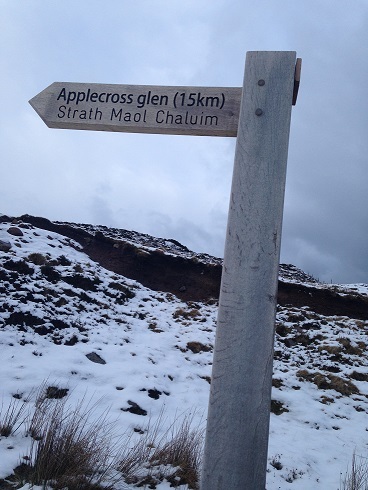 The remainder of the path maintenance was funded by the Applecross Trust to ensure a complete project. This path is widely used by walkers and mountain bikers and has improved so greatly through the ALPS project.